Sam and I had been meeting regularly for lunch on Thursdays since the start of the second term. It became something I really looked forward to during the week. We would try out a new café and relax over a cup of tea. It was during one of these leisurely lunches that she somehow managed to convince me to give CrossFit a try. So there I was, early on a Monday morning taking the bus up to my old digs to meet her. It had been so long since I had been up there that I quite forgot which bus to take. Soon enough she was driving along the motorway and we arrived at the box. It had just opened and there were free taster sessions all week. I climbed out of her Jeep and nervously made my way into the converted warehouse. It was cold. I didn’t remove my coat until right before we started. I looked around and saw weights, rings, a pile of boxes in the corner, and colourful blobs against the far wall. I hadn’t stepped foot in a gym since I was probably in high school. A flood of awful memories came back. I had been one of those geeky types that was always picked last. How had I let Sam talk me into this? I wondered to myself. Two rather fit men approached us. Both were coaches at the box and introduced themselves as Chris and Lee. They were very nice and enthusiastic, but I was still completely nervous. They gave us forms to fill out most of which was standard, name, date of birth, injuries, are you exercising now? “Does walking to and from lectures count as exercise?” I asked Sam hopefully. “Nope,” she responded with a laugh that signified nice try. Once we had handed in our forms we met Chris over by the whiteboard. What followed was an explanation of CrossFit and then we got started. There was a short run, rowing, some stretching, box jumps (that’s what those boxes in the corner were for), burpees (oh how I hate burpees), and then kettlebell swings. The first time Chris demonstrated them I was convinced I would never be able to do those. Sure enough, by the end of the session I was kettlebell swinging like a pro. I felt really good afterwards. I’ve never been one to completely buy into the notion of exercise as a mood booster, but everyone had been so nice and I was proud of myself for giving it a go. I found I actually really enjoyed it and Sam and I made plans to come back on Wednesday. Claire and I decided to sign up for the free on ramp sessions being held over the next two weeks. After those, we would know all of the movements and be well on our way to becoming serious CrossFitters. We started on Monday and it was an hour of squats, air squats, overhead squats, and shoulder squats. 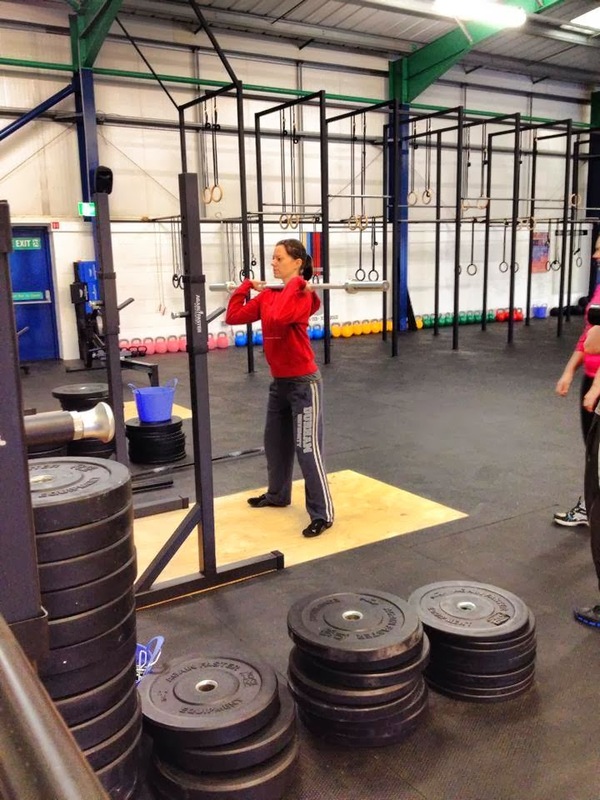 The WOD that day nearly killed me. Running, press ups, sit ups, repeat until death. I finished in a little over 11 minutes. I’m not looking forward to repeating that one on Thursday, but I’m hoping my time will be cut by at least two minutes. Now I know what you are all thinking. This blog is about to take a turn into the realms of fitness. Well, yes, sort of. At least so far as I may mention CrossFit or may it may factor into some of my stories. One such story actually has just come to mind. Claire and I were ready to attend our second day of on ramp Wednesday evening. We had decided to try to make the 5:00-6:00pm session. Usually Sam drove us, but today she was feeling under the weather and so we decided to hop on the PR2 to Belmont, thinking it would take us where we needed to be. We continued walking. And walking. And walking. It began to get dark and we realised there was no way we were going to make the 5:00 session. There was one directly after it so we pressed on, hoping to get there in time. We made it to the entrance of the industrial park just as it began to rain. This was now becoming the most cliché of sob stories. We took the wrong bus, had to walk two miles in the dark through the rain. When we finally reached the box, the class was half over and Claire and I went and sulked in the corner. “You watch, the next session will be filled with experts and burly guys,” I joked. Why do we jinx ourselves? Sure enough as people began showing up for the next session they all matched my dreaded description. The funny this is, that with CrossFit it doesn’t really matter. Sure you are all working out at the same time, but you always work to your own ability. So the guy next to you might be lifting a 16kg kettlebell but you can be lifting 8kg. You’re still doing the same movements, but you compete against yourself. Claire and I managed to get a lift into town after our session and we were more than ready to do it all again the next day.